Report to the Clerk's office and check in by properly identifying yourself. If you plead Guilty or No Contest, it is likely you will be sentenced immediately. If there are any Community Control Sanctions ordered, the Probation Department will set up these conditions with you at this time. You will then go to the Clerk's Office to set up any jail time and/or pay court costs. 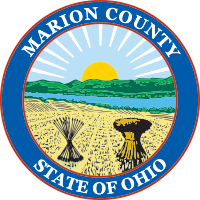 The Marion Municipal Court Traffic Safety Program is an option that can lead to the dismissal of certain traffic charges. To find out more and determine if you qualify, please visit our Traffic Safety Program page.